Going to the theater is a treat that never grows old for me. Here are some of the plays I’ve seen recently, most of which were excellent. “The stage is set. Three claw-footed bathtubs. The kind your grandmother had. Props: Three scrub buckets, newspapers and a tea set. Costumes: Bridal gowns and veils, usually sopping wet. 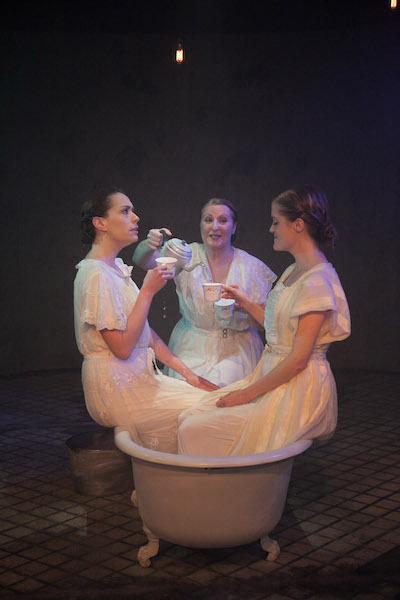 You can see The Drowning Girls through June 6. Signal is at 1802 W. Berenice, near the intersection of Irving Park and Ravenswood. See my review for details. 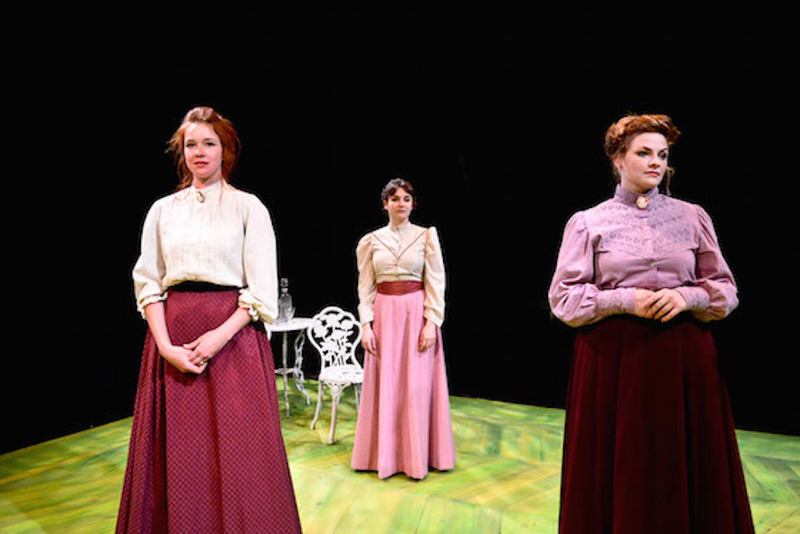 The play is 2 hours, 20 minutes, and runs through June 6 in the Hypocrites’ new space at the Den Theatre on Milwaukee Avenue in Wicker Park. 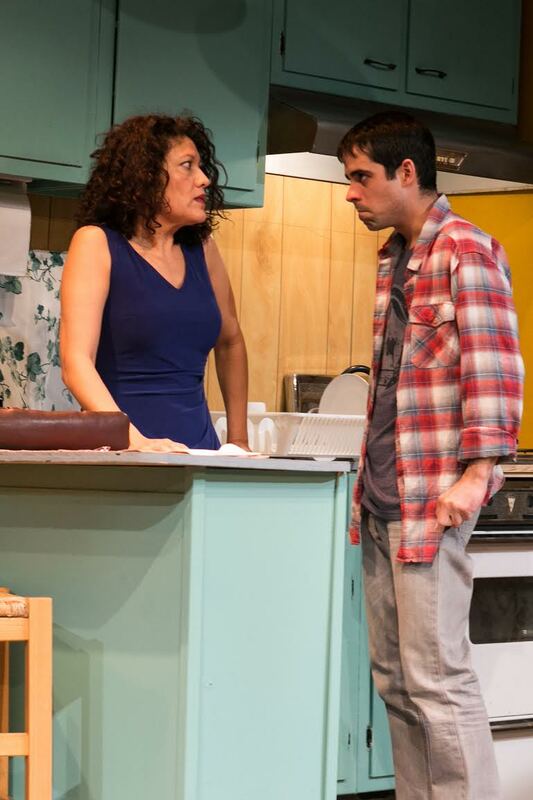 This is a fine production of Warren Leight’s Tony-award winning play, Side Man. It was first produced at Steppenwolf in the 1999-2000 season and I tried to keep that excellent production out of my thoughts and not let it affect my review of this production. This is a memory play about the jazz musicians—trumpet players—who were riding high in the 1940s and ‘50s before the rise of rock and roll. The story focuses on the career and family of one particular side man. His son takes us back and forth in time from the moment his parents met through their present difficult period. 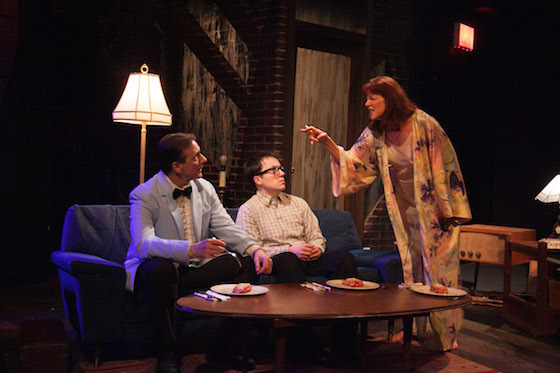 Side Man runs two hours and continues through May 24 at American Blues Theater, staged at the Greenhouse Theater Center on Lincoln Avenue. There’s live jazz played on stage before the performance begins. I recommend it. Take Mom on Sunday. Or take yourself. Ghost Gardens, a new play by Steven Simoncic, explores “how people in a dying community fight to overcome grief, illness, hopelessness, and air poisoned by a giant local corporation.” The play, set in Detroit, has certain charms and a couple of good performances, but it can’t overcome the fact that the script is rambling and disjointed. I wish I could recommend it. My Gapers Block review is here. Ghost Gardens continues through May 31 at Chicago Dramatists on Chicago Avenue near Milwaukee. The Herd by Rory Kinnear is a story about several generations of an English suburban family who have a severely disabled child. The play looks at how different generations deal with the issues of parenthood and disability. Frank Galati directs an excellent cast of mostly Steppenwolf ensemble members, including John Mahoney, Lois Smith, Molly Regan and Francis Guinan. The writing is witty and tender and gets to the heart of these family matters. I didn’t review this, but you can check out other reviews here. Running time for The Herd is 100 minutes. You can see it—and you should—until June 7.